A lot of you that follow me have been asking for the strategy regarding how to grow your Instagram for business. So here it is. This is by far one of the most practical pieces of content I have ever produced. Aside from the macro mindest, I want to make sure that I am giving you equal amounts of clouds and dirt. I want you to understand why this is important, but I also want you to understand how and what to do in order to execute. These are the real world details AKA “the dirt” that is going to make a difference in 2019. 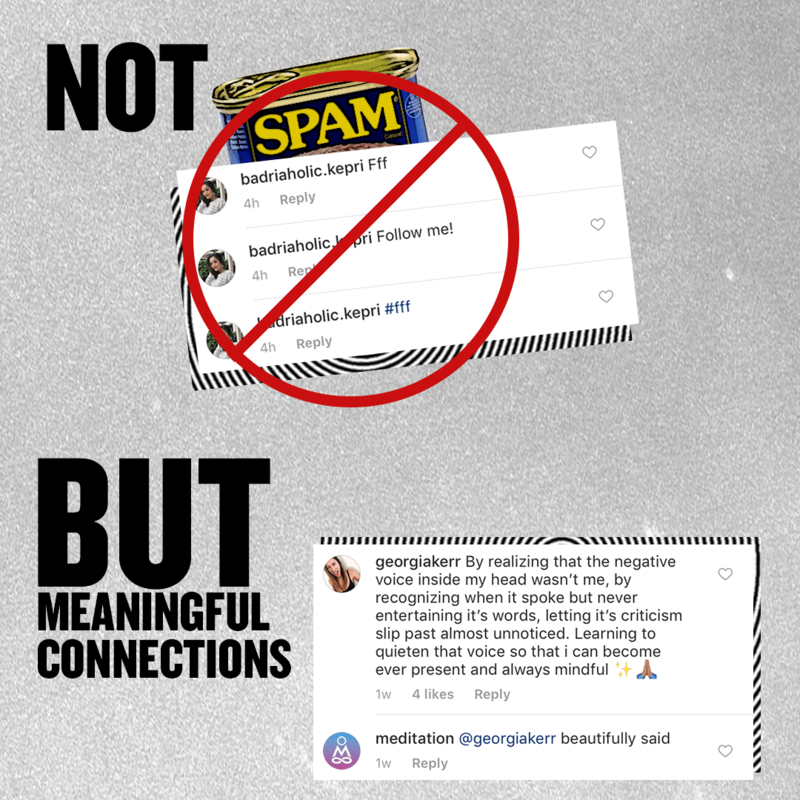 It doesn’t matter if you have an Instagram account with a million followers or if you just created a new profile today, this is absolutely the advice I would give to anyone looking to build a more meaningful community on Instagram or online. A couple of months ago I made a spur of the moment decision to fly one random audience member from a keynote out to VaynerMedia to shadow me for a single day. When Shane came into the office, we had a discussion about how to grow his account on Instagram. Make me a promise. – When you see the opening to do something nice or special just because you can and expect nothing in return for it PLEASE ACT! – Tag your best friend – I ❤️ you Guys. How Do I Grow My Instagram Account for My Business or Brand? This is a question I get Every. Single. Day. In emails, DM’s tweets, snaps, comments, texts, walking down the street and from the biggest brands in the world. It’s all the same. The reason I feel comfortable answering this question is that I’ve spent the last 10 years of my career trying to understand user psychology and reverse engineer attention into an engaged community online. This is not theory, it’s practical advice that has worked for me and thousands of other individuals, companies, products, and brands. I started using these tactics on Twitter but obviously migrated them to Facebook and Instagram. No matter which platform comes next, this will be the behavior I deploy to build awareness, and more importantly, community online. The truth is, the way to win on social media is to actually be social 😉 The number of Instagram followers you have means nothing if you can’t build a community of like-minded people who care and engage. The only real way to do this from scratch is to become part of the conversation. Whether it goes down in the DM or you are actively searching the top 9 posts in every hashtag on Instagram or Twitter, you need to participate and engage with people who have the same interests as you. 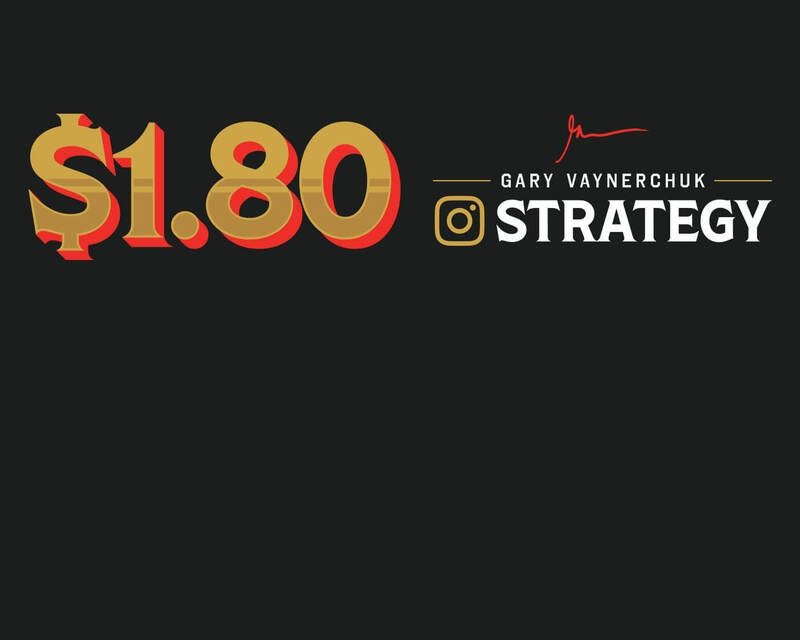 I was super inspired after meeting Shane that I came up with what I like to call the $1.80 Instagram strategy which translates to leaving your personal .02 cents on the top 9 trending Instagram posts for 10 different hashtags that are relevant to your brand or business every single day. 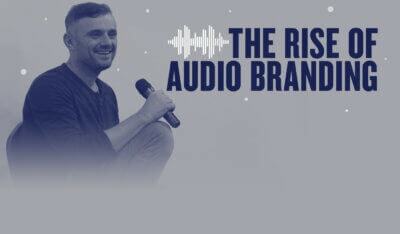 By the end, you haven’t just left your .02, but a full $1.80 of thoughts online in the specific category, niche or industry you want to become a part of. I have always discussed how important it is, not only to build influence but to build community and become part of the conversation online. There are so many people that are consuming my content and never actually taking action on what I say. I know that I can be inspiring through my words and through what I do as an entrepreneur but I desperately want more than just motivation. I want you to find insights that are going to help you execute on your ambition and create upside for yourself, product, service or brand. Here’s the 1.80 Instagram strategy broken down into 3 simple parts. This shouldn’t be difficult. For this article, I’m going to use the example of meditation. As all of you know, I have been fascinated by the individual unlock that is predicated on an individual’s mindset. I think meditation already is and will be huge in our culture. 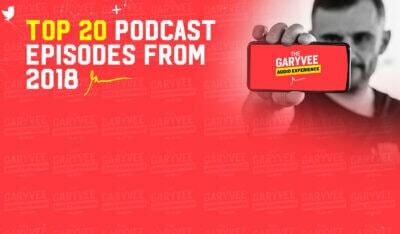 Even Ray Dalio told me during a recent episode of AskGaryVee that he meditates 2x a day. So just to give you the most concrete example I can, I want you to imagine that you are deep into meditation and have been practicing for years and now you want to build a business around meditation or grow your personal brand. The first thing you need to do is identify the 10 most important/relevant hashtags in your field. Here are some I noticed recently on IG. The best part about searching for hashtags is that you can quickly and easily identify related tags in your industry or niche. Once you search meditation, Instagram recommends related hashtags to follow. Spend time searching not only the most popular hashtags but lesser known hashtags that still relate and can make a real impact. Spend about 20 seconds scrolling through the top 9 posts of each hashtag. When you find a hashtag, or better yet a post, the first thing you need to do is identify who that person is. Click on the post, identify the account, read their bio, look at their profile, understand their likes, dislikes, and activity. Read the copy below and engage. So many of you are starting with nothing (and that’s okay!) every connection matters. Every relationship has value. These people can all be part of your community. You are literally here to help. Now that you’ve identified the top 9 posts for your top 10 hashtags… it’s time to leave your .02 which means leaving your thoughts and trying to provide value where you can. If you see someone in the comments who has a question and you know how to respond, answer. If you love the post and admire the aesthetic, say so! If you have thoughts about the quote or the copy in their post, reply! If the image reminds you of another content creator, tag them. If you think a friend would benefit from seeing it, share it with them. Realistically this shouldn’t take any more than 2 minutes per post. You don’t have to write a book or say something profound, you just have to engage and interact. That is what it means to be social. But please please please be authentic to yourself and the person on that post. We all know what a spam comment looks like. And if you really want to connect, send a DM to the creator. Mention the post and why you liked it. Respond to their story and say something valuable. Ask if you can help, collaborate, promote, etc. It’s as easy as that. The overall process is incredibly simple. It’s .02 cents, on 9 posts for 10 hashtags every day. That all adds up to $1.80. No matter how much value you provide, this is still a game of numbers. You have to be willing to give yourself more at-bats. Everyone else is only leaving .02. You’re leaving a $1.80 Every. Single. Day. I promise you will get results. The better your .o2 is, Value and authenticity the more you will grow. Even if that is only one new follower a day. Or 1 new idea about what works and what doesn’t on Instagram. No matter what, I guarantee you will learn. You will learn something about the platform, about culture, about human behavior, about how people interact online, about empathy and humility and perspective, it’s all there through this little process. It’s leaving your .02 and being part of a real community. Leave your .02c every day. So I want you to start deploying the $1.80 strategy. You’re going to drop $1.80 a day, two cents at a time, nine top posts, on ten different hashtags, every day. And that will slowly but surely build an audience that knows you and appreciates your content. You’re going to leave $1.80 in karma, $1.80 in community, $1.80 in your thoughts. You’re not going to spam. You’re not there to say follow, follow, follow. If you are going to do it my way, then you’re going to be part of the gratitude, thankful, be present, choose happiness, positivity community. Because the problem is, everybody wants to talk. Everybody wants to put a picture of themselves looking cool. But the way you actually win is to listen and then contribute. Remember, nobody listened to me at first either. Let me say it one more time. For over a year, nobody watched my damn shows on YouTube. But that doesn’t discourage me at all. The way to be discovered is to either put out great content, and have one piece go viral, or the way I like it, and the strategy that has always worked for me is to become part of the community. You will pick up three to four followers a day, which are meaningful. Not bots and spam, but meaningful connections. That means you’ll probably receive 100 new meaningful followers in a month. Which means you’ll put out a piece of content and if one of them is special, and one of the people that follow you has a bigger audience and decided to share it, then away you go. But that’s not even the best part. You know what’s so great about the $1.80 Instagram strategy? It’s not that you’re going to get exposure, or you’re going to get some followers, or that you’re going to contribute and be a great community member, but you’re also going to learn. 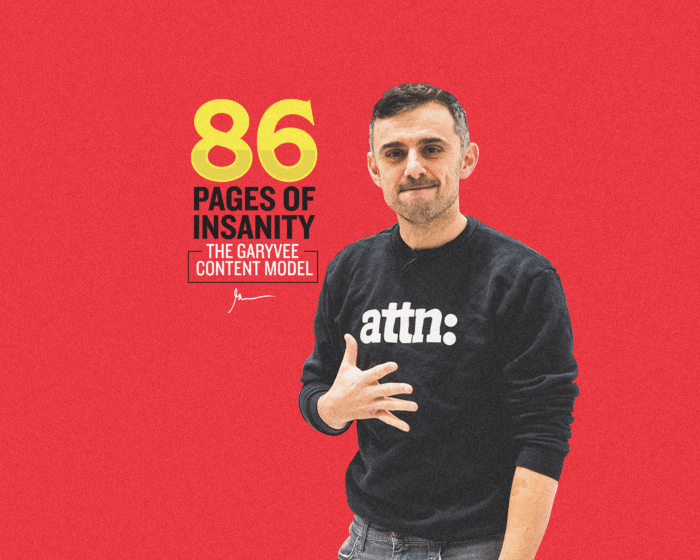 Because you’re going to watch and consume, 90 pieces of content a day related to your business that are doing well on Instagram, which is then going to inspire and help you strategize the content that you yourself are going to put out on Instagram. That’s a really good use of three hours a day. In the morning, during your lunch break, and when you get home. Tried and true. Gratitude, empathy, kindness, motivation, meditation, mindfulness, you pick the hashtags, they’re unlimited. They all have a top nine. And then you put in the work. Because nothing ever trumps the work. I don’t want to give you all the fish. 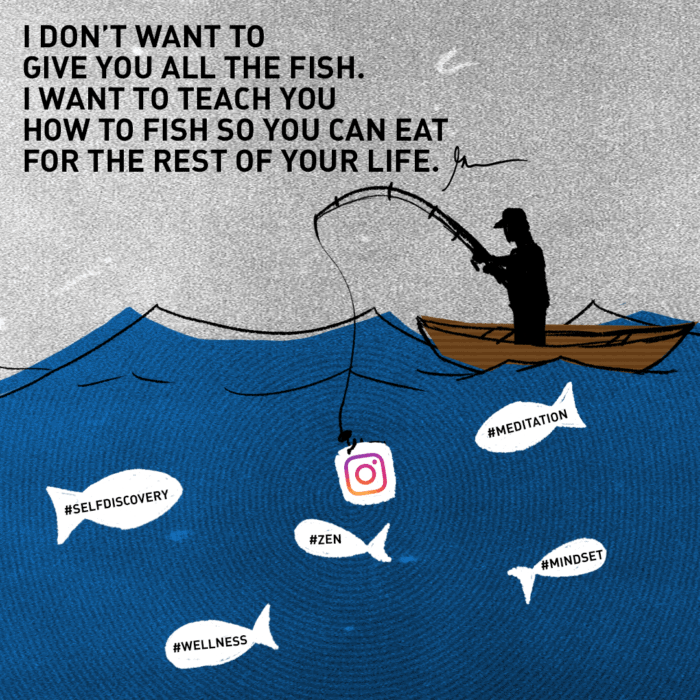 I want to teach you how to fish so you can eat for the rest of your life. I want to teach you all how to grow your Instagram for your brand or business through this strategy. How to really do it, and how to win.